When your workday takes you outside of the office, it’s important to know where the best spots are to meet and mingle with business professionals. From the dishes to the ambiance, restaurants and clubs creating an ideal environment for business meetings and breaks are in high demand. 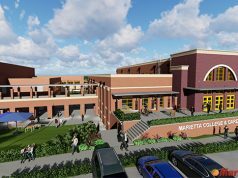 Here are some top picks around Cobb County for you to take your next work break. 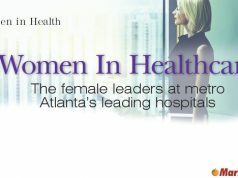 At Indian Hills Country Club in East Cobb, which is managed by Futren Corporation, there’s more than just food and drinks to enjoy during a meeting or break. Indian Hills is a family golf and country club that offers a relaxed, comfortable, club-casual environment that is also perfect for hosting business meetings, lunches with clients, tournaments and other special events. Whether playing a round of golf with company partners or discussing new ventures over a delicious meal and a glass of wine, Indian Hills has you covered. One of the big benefits of Indian Hills as a business destination is the ability to entertain in a variety of ways and flexibility of its options to suit the occasion. It’s also a great venue for an early morning breakfast meeting or an evening reception at the end of the day. “Indian Hills strives to be an extension of our members’ homes, where they can entertain, relax and enjoy the company of friends, family and business associates,” says Mitch Rhoden of Indian Hills management. Hosting a meeting, presentation or corporate retreat at the club adds a personal aspect to doing business, which can be beneficial when entertaining clients or uniting colleagues. Ideal for networking with community leaders, entertaining clients, hosting private meetings and attending educational events, The Georgian Club is an essential business resource. 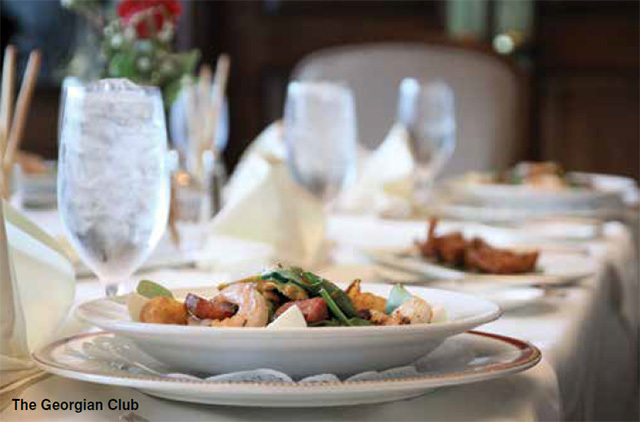 Accompanying the warm, inviting and casually elegant atmosphere, the club, which is also managed by Futren, serves a variety of traditional American fine dining selections inspired by international flavors. It also offers convenience for those on a tight business schedule, giving guests the options of breakfast, lunch or dinner in the main dining room. The Chattahoochee Lounge in The Georgian Club provides a more casual atmosphere, perfect for a busy business day. 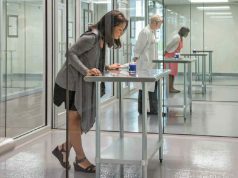 The anytime-dining lounge menu allows guests to drop in to get a casual bite to eat with colleagues and be in and out in no time. Guests are also welcome to use laptops while dining in the lounge. When in need for a larger meeting space, The Georgian Club provides eight private boardrooms that can accommodate anywhere from 10 to 250 guests. These rooms come equipped with audio/visual equipment for any presentation or conference needs and can also provide Wi-Fi, refreshments and customized buffets when needed. Located in the heart of Vinings, 101 Steak is central to the young professional scene. Offering a modern take on the traditional steakhouse, it features a contemporary, chef-driven menu with a selection of high-quality steaks and seafood, a raw bar and more than 100 wines by the glass. 101 Steak aims to accommodate a variety of groups and meetings, from large parties to intimate dinners for two. 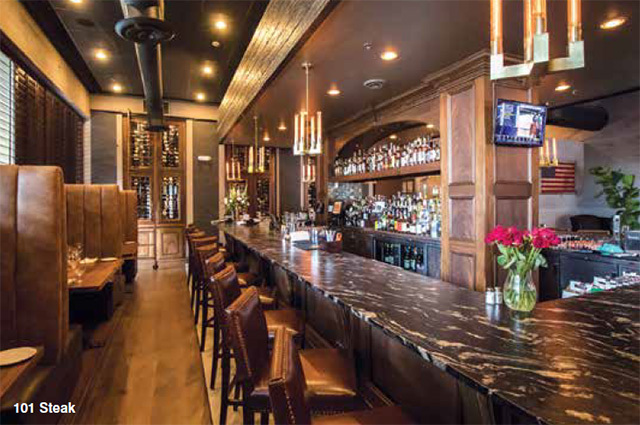 “Whether entertaining a client or conducting a presentation, 101 Steak is fine-tuned for both, with small details standing out such as three meeting rooms to fit any event you can imagine,” says owner and partner Steve Buero. 101 Steak’s Overlook Room accommodates up to 50 guests, while the Board Room seats up to 12 and the Tasting Room seats up eight. These rooms are ideal for meetings that require privacy for discussing important matters in a more casual setting. For those wanting to keep business in the office, 101 Steak also offers a catering menu featuring Executive Chef Joe Ahn’s innovative fare and selections that include family style appetizers, salads, entrees and desserts. Featuring a lunch menu designed with professionals in mind and an inviting atmosphere, Paces and Vine caters to their guests with business in mind. The restaurant interior features brown leather banquettes and plenty of natural light and offers a modern-meets-rustic design scheme. “The natural lighting is great for relaxed business luncheons, and the combination of comfort and class implies quality without pretense,” says Assistant General Manager and Wine Director Michael Kunz. Some of the restaurant’s special characteristics include a large bar with comfortable high-back leather chairs and a spacious patio with a fireplace. 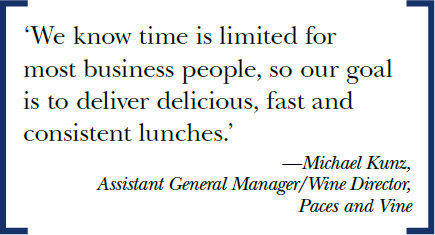 “We know time is limited for most business people, so our goal is to deliver delicious, fast and consistent lunches,” says Kunz. Their lunch menu includes popular items, from an array of sandwiches to fish tacos and entree salads. The dinner menu moves into more serious dining with dishes like charred salmon over Boulanger potatoes with purple cabbage and Dijon butter, Guinness-braised beef brisket and a daily market fish seared over a summer corn succotash. “We also feature a concise yet impressive selection of fine wines by the glass and by the bottle curated by yours truly that can impress any business client,” he says. 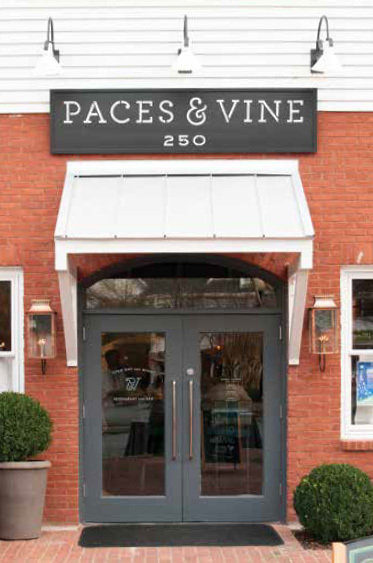 Paces and Vine also offers Wi-Fi for those needing to stay connected and a private dining room for business events. This room seats up to 40 guests and features a centralized, large television with AV hookup for presentations. Those looking for a fun, energetic and unique atmosphere to meet for a business lunch, dinner or drinks should check out Grub Burger Bar located off Cobb Parkway in Atlanta. With a full bar that is uncommon to a fast-casual type setting, Grub is perfect for a quick lunch break and drinks with colleagues or a casual after-work happy hour to wrap up a hectic work day. While Grub offers a wide range of freshly ground burgers to suit a variety of taste buds, they also serve fresh salads, bar appetizers, shakes and cocktails. The casual, yet hip setting provides a fun spot for professionals to grab a casual bite to eat and discuss the business of the day. Manager Jason Graham recommends the Lockhart Legend Burger and Jive Turkey Burger to guests. “The Jive Turkey Burger is like no other burger I’ve ever had, and it’s really amazing all around,” he says. Offering a new market burger every two months, Grub switches up its flavors to keep up with the latest culinary trends, sure to impress all kinds of burger lovers. The neighborhood-favorite Italian grill in Kennesaw now offers fast and affordable lunch favorites for those on a strict time frame. The new lunch additions are great for a quick business meeting with clients or group lunch break. You can enjoy classic Italian dishes in a cozy Tuscan ambiance without the burden of a heavy Italian meal. With a group-dining menu perfect for larger corporate gatherings and special events, Carrabbas strives to provide a seamless dining experience for those with business-oriented needs. Some classic Italian favorites that are offered in smaller portion sizes with the new lunch menu include the “Chicken Bryan,” and chicken or sirloin marsala. 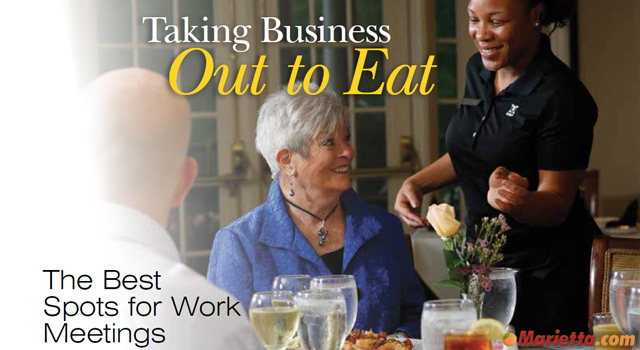 Carrabba’s allows customers to dine with the class of an Italian restaurant atmosphere, but also with the convenience that most busy professionals require.